Water vessel services, including launch service, on different river routes of the country resumed on Thursday as Cyclone Titli weakened after crossing the Odisha coast in India. 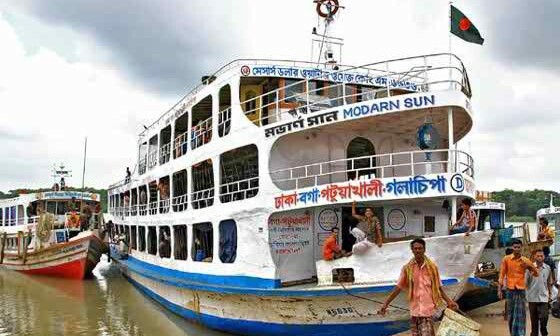 Bangladesh Inland Water Transport Authority (BIWTA) decided to resume the services at 2pm following improvement of weather condition, said BIWTA Public Relations officer Mobarak Hossain Majumder. Earlier on Wednesday, The BIWTA suspended water transports on all inland routes because of inclement weather caused by the cyclonic storm. Country’s river ports have been asked to hoist riverine warning signal no two where maritime ports of Chattogram, Cox's Bazar, Mongla and Payra have been advised to lower local warning signal no. three from four.